Editorial articles are opinion pieces written by community members who serve on AdaptBN's Editorial Board. The opinions expressed in these articles are those of the Editorial Board and do not necessarily reflect the opinions of AdaptBN. Passenger traffic at the Central Illinois Regional Airport (CIRA) in Bloomington has decreased significantly since it peaked at 579,265 in 2011. By 2016, that number, which includes departures and arrivals, had dropped by a third to 381,109. The losses continued in 2017, with passenger traffic dropping 12% from the previous year to 333,932. These numbers are cause for concern. Although CIRA lost passengers, some nearby airports have gained them. In 2017, Peoria International Airport (PIA) had 635,003 passengers, the third busiest year in its history and a 2% increase over 2016. Springfield’s Abraham Lincoln Airport has seen four years of consecutive passenger growth, including increases of 5.4% in 2015 and 4.33% in 2016. Champaign added five new daily departures from Willard Airport (CMI) in 2017; American Eagle added a second flight to Dallas and United returned to CMI after a 20-year absence to offer flights to Chicago’s O’Hare Airport. Airport consolidation and loss of business travelers have been key factors in declining passenger traffic at CIRA, according to Fran Strebing, CIRA’s Director of Marketing. The departures of AirTran in 2012, which flew to Atlanta several times daily, and Frontier in 2015, which flew to Denver and Orlando with nearly full planes, were a direct result of industry restructuring. Currently, American, Delta and Allegiant service CIRA. “We are vying for passengers in our market and in other markets who have choices for where and how to travel. The driver of passengers to airports is service. When AirTran was here, we attracted people from all over the region, but when the fare differential was no longer in our favor, people stayed in their home areas,” Strebing said. The business climate of the local community also has “a ripple effect on air travel,” Strebing noted. She cited four contributors to the loss of business travel: the 2015 loss of Mitsubishi, the 2000 closing of the Eureka-Williams manufacturing plant, the 2010 move of the Electrolux Home Care Products headquarters out of Bloomington, and State Farm’s recent business changes. Two companies new to Bloomington-Normal have the potential to increase CIRA business travel in the future: Rivian, Inc. and Brandt Industries. Rivian, Inc. plans to start auto production by 2019 at the former Mitsubishi plant and Brandt Industries, a Canadian agricultural manufacturer with plans to expand internationally, announced its plans to hire 300-500 workers at its recently purchased 200,000 square foot warehouse in Normal. Executives from both companies used CIRA for getting into and out of the Twin Cities during their analyses of sites, Strebing said. 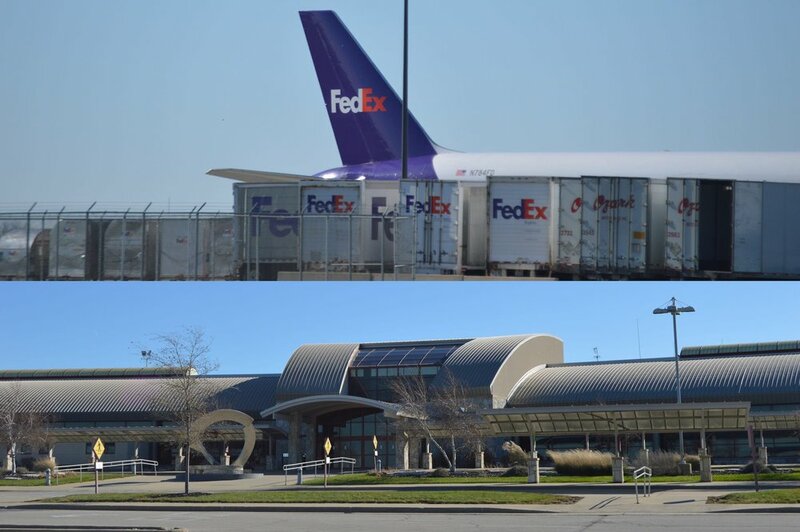 The Bloomington Normal Airport Authority (BNAA), CIRA’s governing body, is working with the Economic Development Council (EDC) to encourage other logistics companies to distribute through CIRA. The BN area is within the largest population concentration in the state after the Chicago metro area, and is also approximately two hours from Indianapolis, St. Louis and Chicago. This could be a competitive advantage when marketing to businesses in the distribution industry. BN Advantage, an initiative to market McLean County as an employment and lifestyle destination to outside businesses and residents, markets the airport to site selectors as a regional asset. CIRA markets to people and airlines, spending $250,000 to $300,000 a year on radio and TV advertising, social media and promotions—approximately 6.4% of its operating budget. In 2017, CIRA unsuccessfully sought legislation (through partnership with several other nearby airports) to expand its tax base beyond Bloomington-Normal to all of McLean County, which benefits economically from having an airport nearby. BN property taxpayers currently pay four cents per $100 assessed value to support CIRA, which has a current budget of $3.9M. 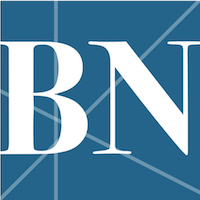 The tax expansion proposal also would have enabled BNAA to nearly double its tax rate to a cap of 7.5 cents in the future, though officials at that time said they didn’t plan to increase the levy, the Pantagraph reported on May 18, 2017. As CIRA’s biggest regional competitor, PIA has benefited from a county airport tax since 2006. “In 2007-2008, PIA had a net increase of $431,264 in taxable receipts, a 10% bump as a result of the airport tax,” said PIA Director Gene Olson (no relation to CIRA Director Carl Olson). Olson added that the Peoria Air Authority works to manage the tax rate each year so the dollars are the same. The year-to-year decline of passenger traffic at CIRA since 2012 must be curbed for the airport to remain viable and compete with other regional Illinois airports that have seen years of growth, particularly PIA. With smart, aggressive, creative leadership, CIRA needs to collaborate with all levels of government, business, nonprofit and educational organizations to keep our airport viable. Going Local: ACC Electronix, Inc.